Sustainable agricultural practices are becoming more and more important as the population of people to feed grows. The responsibility to adhere to high food-security standards is at an all-time high for those in the agricultural community. Without proper grain storage, grain deteriorates, wasting an array of resources. A proper grain storage system involves a bit of science and a commitment to prevention practices to ensure the grain remains healthy and safe. Woofter Construction has a few simple factors to consider when storing your grain. Grain is absorbent. If exposed to a considerable amount of moisture for too long, it’s prone to growing mold, losing viability, and decreasing in quality. Ideally, grain that’s being stored two to three weeks should hold a moisture content of around 15% to remain safe, and the longer you plan to store it, the less you can get away with. If you’re storing grain for a year, aim for the 10-13% moisture-content range. It’s important to note that this is the case even if you’re using agricultural fans. Aerating grain only goes so far. If the moisture content gets too high, it won’t stop grain from spoiling in the long run. Be on the lookout for condensation, roof or sidewall leaks, hatches left open, etc., and definitely opt for a closed storage system. Even if grain is cool and dry when going into storage, effective, ongoing aeration is still needed. It’s important to keep air flowing through your storage bin to maintain a safe temperature. Aeration helps prevent issues with condensation and insect infestation. Moisture can be deterred by keeping the grain within 10 to 15 degrees of the outside air temperature, and keeping temperatures at or below 60 degrees decreases the likelihood of insects setting up shop. The quality of grain does not improve while in storage. It can only be maintained, at best. That’s why it’s best to make sure grain is in good condition going into storage if you want any hope of it storing well. We’ve got a few tips to make sure the incoming grain is set up for success. First, keep your storage bin clean inside and out, as well as around the perimeter. Clean harvesting and handling equipment also, removing old grain. Decrease grain damage by checking that your combine is adjusted accurately, and clean grain as it enters the bin by using a rotating grain cleaner. Be sure to cool the new grain as soon as it’s put into storage. In secure storage bins, insects aren’t typically an issue until you start storing grain for long periods of time, usually a year or more. To be safe, though, take precautionary measures to ensure you won’t have to worry about insects. Spray the inside of the bin with a safe, sustainable insecticide two to three weeks ahead of grain going in. As grain enters the bin, treat it with an approved insecticide, and treat the top after all grain is in and has been leveled. We at Woofter Construction prioritize food security, and we recommend checking in on your grain weekly so you can spot changes and potential issues when they occur. Look for a crust forming on top of your grain, and be wary of new smells. 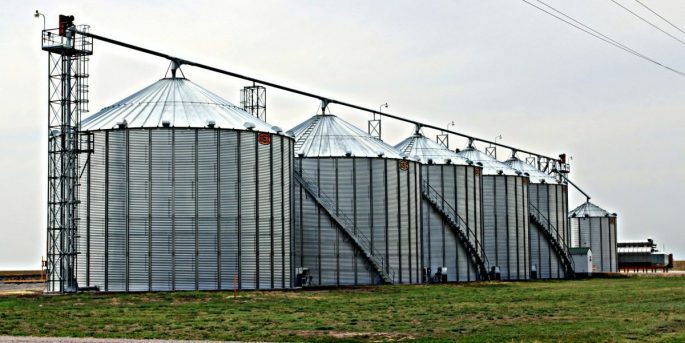 Woofter Construction’s grain storage bin systems are top of the line. We carry a diverse line of storage, drying, and handling equipment, and our grain silos are built to last. No size silo is too big for us. We even built the first 1.1 million bushel GSI bin! 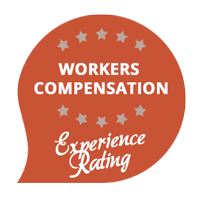 To find out more, visit our website, or call us at (785) 462-8653.